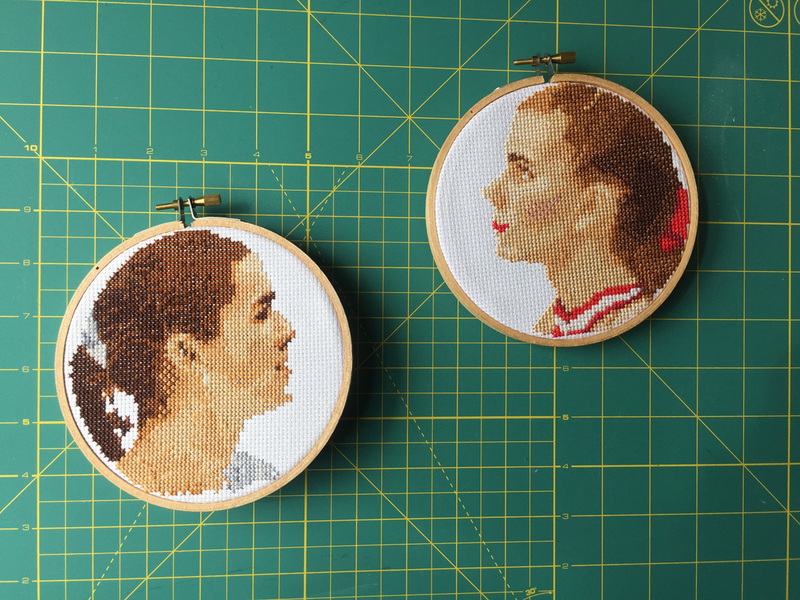 I’ve gotten multiple requests to sell the patterns I used for the Tonya Harding and Nancy Kerrigan cross stitches I made. I don’t feel comfortable making money off them like that, so here are the patterns for free. When cross stitched on 14ct Aida they fit in a 6″ hoop. Unfortunately I don’t. I didn’t write them down. I thunk maybe 945 and the surrounding colors would be a good start?